Once in a while I feel its time to stream a little. Who doesn't? Anyway, here is my set of yesterday, titled Mors Zatańczyć. 30 minutes of a simple modular patch. Woody Monk - Mors Zatańczyć. 23th of October 2010. Distributed under Creative Commons Attribution-NonCommercial-ShareAlike 3.0 Unported License. Feel free to share! Great patch, and awesome-looking modular! Thanks a lot! 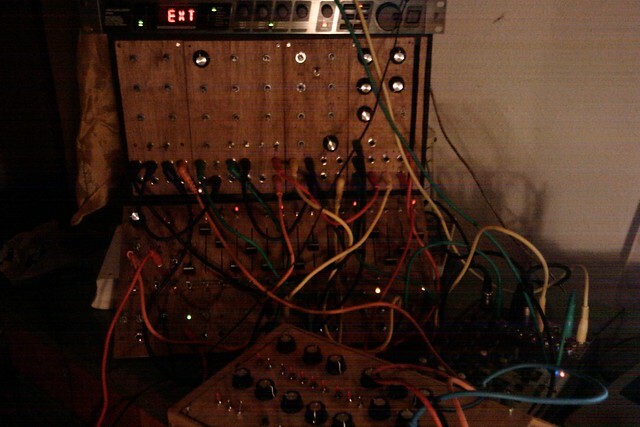 Modular is an awesome thing, and its just like cabbage, it doesn't want to stop growing. Power of 5 modules, MFOS minisynth (wooden box) and one FX unit!